Saarpor Red Label Insulating Lining Paper consists of a 4mm polystyrene layer laminated to a high quality non-woven lining paper and provides a moderate amount of thermal insulation. Half way between the 2mm Insulating Polystyrene and the Graphite Insulating Lining Paper, it offers an economical way to insulate your walls and ceilings. 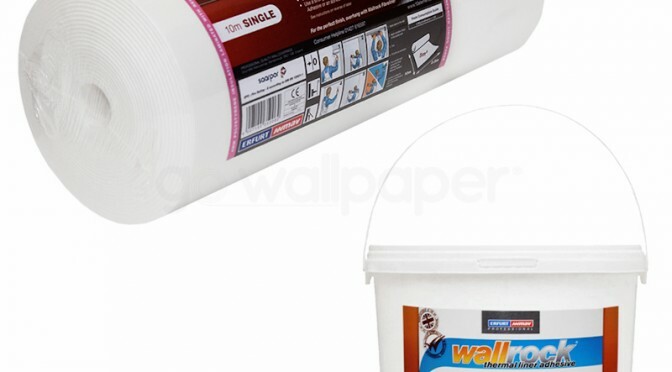 Saarpor Red Label Insulating Lining Paper is a Paste the Wall product which makes it very easy to hang for both professional and DIY decorators. It also creates an effective basic protection against internal mould growth and condensation and provides some sound insulation too. If you need more than a moderate level of insulation we recommend using Graphite Insulating Lining Paper or Wallrock Thermal Liner.